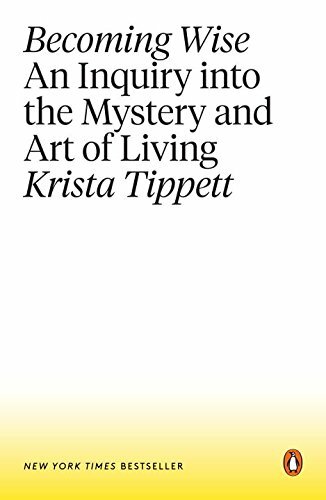 "Krista Tippett is fascinated by the way our spirituality shapes our lives. If you’ve ever listened to her radio program On Being, then you know she starts every conversation with questions about that person’s spiritual life or belief system. Tippett comes to many conclusions through her conversations with poets, civil rights activists, astronomers, astrophysicists, and others, but if one were to stand out it would be that there is no singular way to live. Each life is full of joy and sorrow, belief and fear, and everything in between. All we can do it is be open to it." Section New Titles - Paperback / Personal Growth / All Staff Suggestions / Non-Fiction Suggestions / Nathalie B. The open questions and challenges of our time are intimate and civilizational all at once, Tippett says—definitions of when life begins and when death happens, of the meaning of community and family and identity, of our relationships to technology and through technology. The wisdom we seek emerges through the raw materials of the everyday. And the enduring question of what it means to be human has now become inextricable from the question of who we are to each other. This book offers a grounded and fiercely hopeful vision of humanity for this century—of personal growth but also renewed public life and human spiritual evolution. It insists on the possibility of a common life for this century marked by resilience and redemption, with beauty as a core moral value and civility and love as muscular practice. Krista Tippett's great gift, in her work and in Becoming Wise, is to avoid reductive simplifications but still find the golden threads that weave people and ideas together into a shimmering braid.